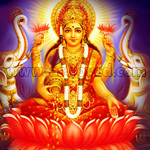 Lakshmi Fire Lab- This Fire Lab helps you invoke blessings for material wealth and abundance. Goddess Lakshmi is the consort of Lord Vishnu, who also bestows his devotees with wealth and prosperity. 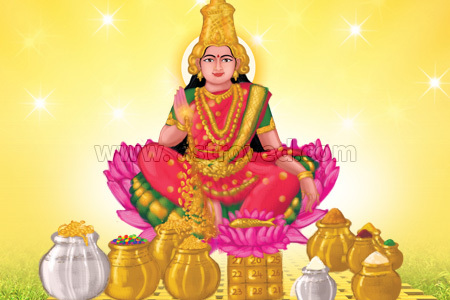 To overcome debts and financial difficulties and build prosperity, call upon this Goddess of riches and assets. Lakshmi is the Goddess of wealth and abundance and the consort of Lord Vishnu, the preserver and sustainer of the universe. 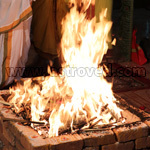 The homa (Fire Lab) invoking her can bestow innumerable wealth and prosperity blessings. Our experienced Vedic priests perform this homa on your behalf as prescribed in sacred texts for you to enjoy the benefits of removing negative energies and uplifting your financial well-being, boosting your fortunes. Goddess Lakshmi, who came out of the Milky Ocean and is said to reside in the heart of Lord Vishnu, is the symbol of wealth, beauty and prosperity. 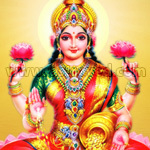 Goddess Lakshmi, one among the divine female archetypal energy, is the personification of auspiciousness, abundance, affluence and material wealth. Connecting with her and invoking her through the holy fire can help you manifest a wealthy, self-sufficient, magnificent lifestyle surrounded with abundance and beauty. Experience her pure blessings, which permeate your surroundings with an invisible halo of positive energy, dispelling poverty and infusing your life with an all-encompassing sense of meaning. Attract the positive energy emanating from the homa, connect with the Goddess of wealth and channel it to your benefit, allowing it to work its miracles on your life. This Fire Lab is also usually performed at the start of any business venture or any new undertaking for material abundance. Sponsoring the ritual once a year can bring about multifold benefits. If you are saddled with debts and financial difficulties, performing the Lakshmi homa can bring you relief. Our fully qualified Vedic specialists perform the ritual and recite sacred mantras, maintaining the sanctity and purity of the occasion with deep reverence for the Goddess of wealth. Perform the Fire Lab for positive thinking, goal orientation, peace, beauty, abundance and prosperity in life. Experience financial freedom, improve business prospects, stabilize your monetary status and acquire luxury and comforts while witnessing abundance in all aspects of life. Cleanse your mind, body and soul of negativity and enjoy a life filled with beauty and joy. 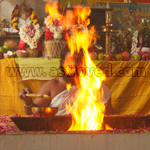 You will receive the sacred grey ash powder from the homa and kum-kum (Red Vermillion Powder), blessed in the ritual. You can keep it in the meditation altar and duly apply it on the forehead as and when required to invoke the divine blessings of the deity. Prasad will be shipped from Chennai, Tamil Nadu within a week after the entire set of rituals is performed. Please allow 2 - 4 weeks for international delivery. This Lakshmi homa (Fire Lab) performed for 6 months, once a month, helps you invoke blessings for material wealth and abundance. Goddess of Wealth, Lakshmi is the consort of Lord Vishnu, who also bestows his devotees with wealth and prosperity. To overcome debts and financial difficulties and increase prosperity blessings, call upon the Goddess of riches and assets. This Lakshmi homa (Fire Lab) performed for 12 months, once a month, helps you invoke blessings for material wealth and abundance. 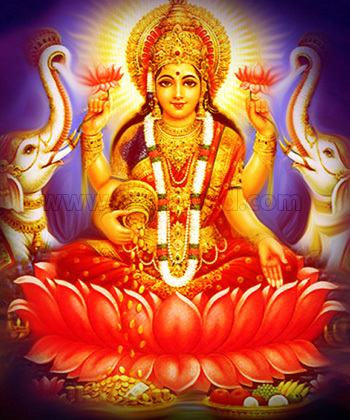 Goddess of Wealth, Lakshmi is the consort of Lord Vishnu, who also bestows his devotees with wealth and prosperity. To overcome debts and financial difficulties and increase prosperity blessings, call upon the Goddess of riches and assets.